Respiro / Grazia's Island. 2002. Grazia is a mother of three who spends suffocating days packing fish while her husband Pietro is at sea. Her oft-erratic behavior leads Pietro into thinking she may need medical attention, and he prepares to send her off to a psychiatric institute in Milan. Their son Pasquale, the one person who understand his mother the most, vows to do whatever it takes to foil his father's plan. 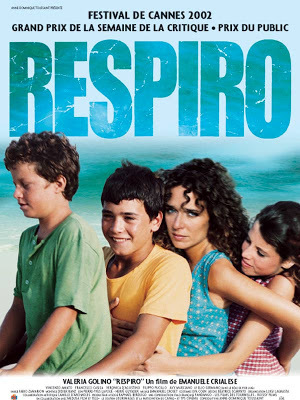 Cast: Valeria Golino, Vincenzo Amato, Francesco Casisa, Veronica D'Agostino, Filippo Pucillo, Muzzi Loffredo, Elio Germano, Francesco Edoardo Anglieri, Giuseppe del Volgo. Download Respiro / Grazia's Island.